Suurepärane pidamine ja pidurdamine lumel. Excellent handling performance on snow, ice and dry roads. 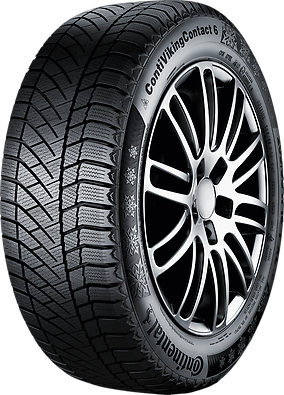 By making the most out of its elements, the ContiVikingContact 6™ offers enhanced performance on snow, ice and dry roads. Enhanced traction and handling on snow. Thanks to its design, the new ContiVikingContact™ 6 comes with safer snow handling. The middle area of the tyre interlocks safely with icy roads. When braking on ice, the thin layer of water which forms is wiped off, thus preventing the floating of the tyre. Excellent road grip and handling on dry roads. While cornering on dry surfaces, the tyre offers high grip and increased lateral stiffness, therefore achieving maximum stability.